If you’ve looked at our church pew types, you’ll have noticed that the most expensive option is one with a padded seat and wooden back, while the least expensive option is when the seat and back are both fully covered in padding. The reason for this is wrapped up in what we wrote about on Monday about solid wood construction. Understanding where solid wood is used in church pews will give you a better understanding of your options for your church renovation budget. Exposed back church pews, shown at right, have uncovered church pew backs on both the bookrack and seating sides. 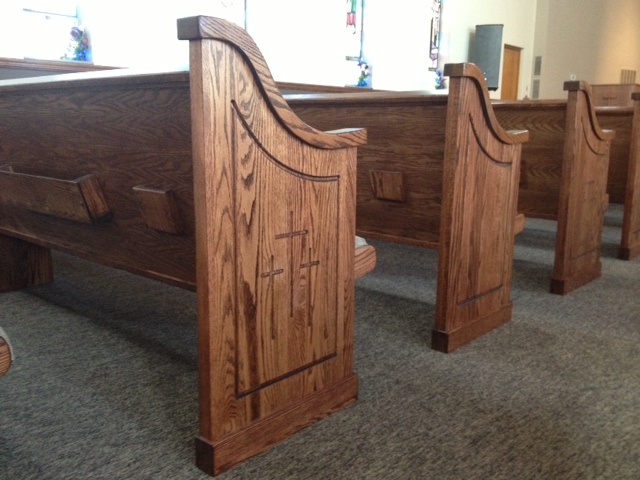 The backs are made of solid wood and are the most expensive option for our church pews. Solid wood that is free of blemishes, like knots and weak spots, is the most expensive because it’s more difficult to produce. Trees have to grow very large to get a piece of blemish free solid wood large enough for a church pew back so that increases the price of the wood significantly. Church pews that are padded on the seat and the back of the church pew don’t need and shouldn’t use solid wood for the parts covered by padding. Instead, this style of church pews is more economical because it uses high-quality plywood under the padding. Plywood is as strong or stronger than solid wood, can stand up to the test of time, and is less expensive. For churches on a small budget, church pews with less solid wood is the best option. However, decorative parts of the church pew, like ends and caps, should still be made of solid wood rather than plywood with solid wood veneers. Veneers tend to break down over time and aren’t a good investment. Deciding which option to choose should come down to how big of a budget you have for your church renovation. Church pews are often the most expensive part of renovating a church, which often means skimping on other areas that need attention. If you’ve got a long list of things that need to be renovated or a small church pew budget, look at options that use less solid wood. 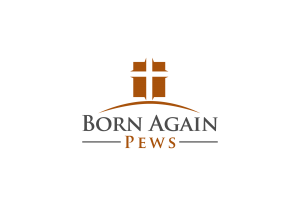 Contact us today for a free quote to find out how far you can stretch your church budget.